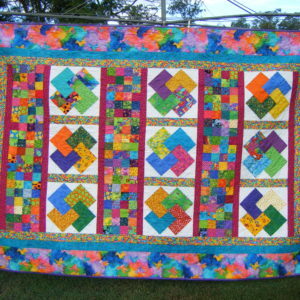 Welcome to my Quilt Therapy web site. 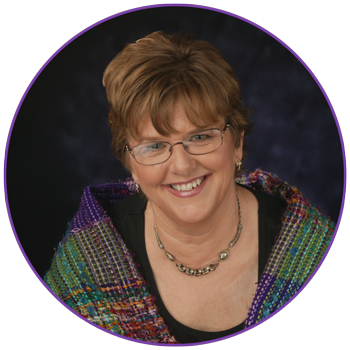 When I started Quilt Therapy in 2002, I wanted a name to reflect what quilting means to me. 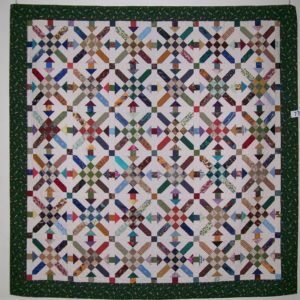 Through quilt making and tutoring I am able to express who I am in a creative and practical way – I make quilts to show my love for family and friends, and also gift quilts to bring comfort to others. Through teaching I can pass on my knowledge so others can do the same. The process of quilt making is therapeutic in itself through all the steps. From the choosing of a design and fabrics, to learning the techniques required to construct it, through to the quilting and finishing, we learn a lot about the creative process and much about ourselves. When working in a group environment there is a lot of sharing and support for each other. 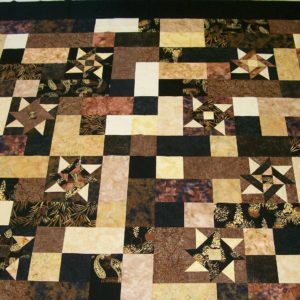 On this site, you will find a huge list of workshops that I teach (I have been quilting over 25 years now) and to me quilt patterns are never out of date. 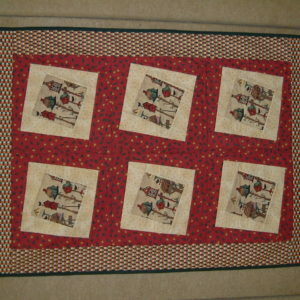 The fabrics may change and some techniques do get refined, but the fundamentals to making a good quilt remain the same and my passion is to see people develop their skills and as a result I see many students produce amazing work. I work in all areas from the Hand Made Traditional styles through to Machine Made Traditional or contemporary (or mixtures of them all) and now more Modern styles are becoming popular. I have a range of patterns mostly based on techniques, often with several sizes in the pattern so you can change the size to suit your personal project. I will continue to add new patterns and workshops as I get time to develop them. The groups and retreats that we run through Quilt Therapy are all about nurturing the whole person, through good food, lots of laughter, developing skills, being creative and having a lot of fun and the farm is a wonderful place to relax. Special workshops are organised for skill development around specific projects and I love to travel to teach whenever I get the opportunity. Thanks for dropping by….. contact me if you need more information & I hope to chat with you soon. Stay in touch through our mailing list and download a Free Pattern now, simply enter your details to get access to your free pattern download. Rest assured, we’ll always respect your privacy and not share your email with anyone.